Christa's carefully researched paintings are ideally suited to museums and can be adapted to suit different exhibitions and media. Her work is on display in the Marengo Museum, Italy, The Vimeiro Visitor Centre, Portugal, the Royal Green Jackets Museum and Battle Abbey. June 12th 2010 saw the re-opening of the fabulous new Marengo Museum, Alessandria, Italy. 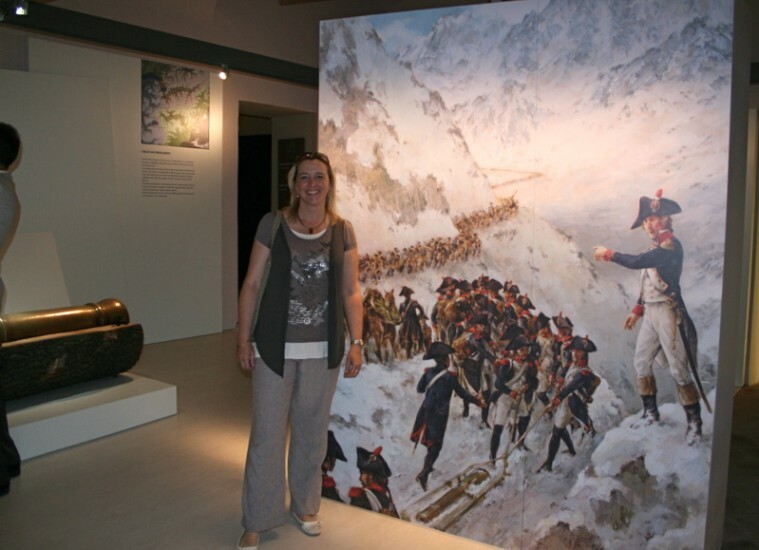 Christa has ten paintings on permanent exhibition depicting the events leading up to the Battle of Marengo 1800. As well as being framed on display, the paintings have also been enlarged and one of them animated in a short film showing in the displays.